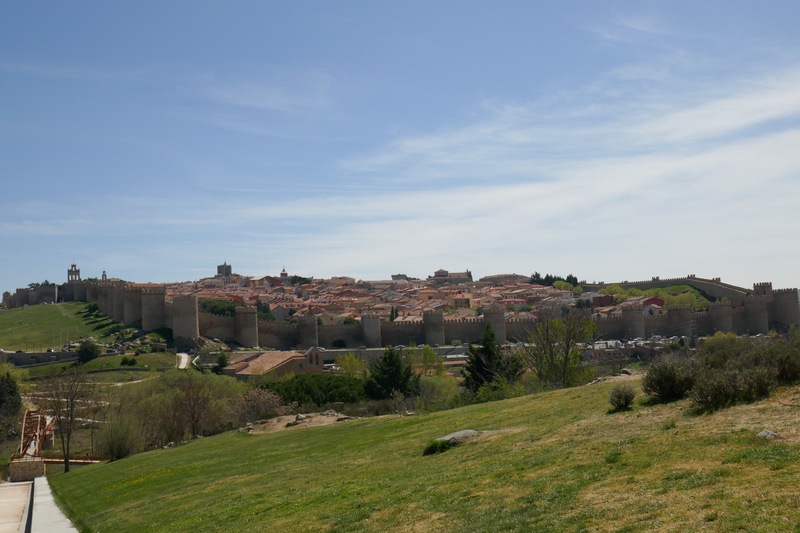 When I talk of Avila, I mean old Avila, the walled city. The Avila I particularly like is partly surrounded by (rebuilt) old walls, bits dating back about 1,000 years, such as those near an old ice storage area. Snow was collected in winter and the resultant ice used during the next summer. 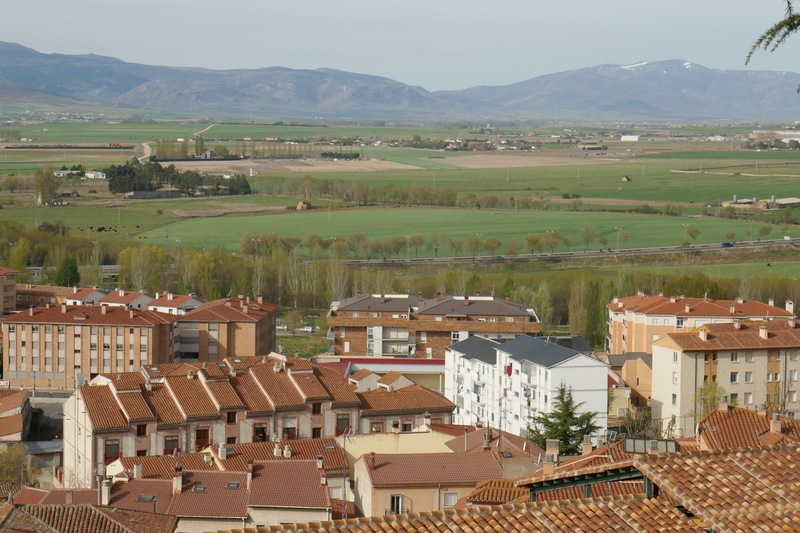 Some areas where the locals live are not as exciting as old Avila despite the river and adjacent open spaces. Others are pretty impressive though. Hmmm, snow is still (just) evident on the distant mountains. Last year I commented on my sadness of seeing some incomplete multifloor buildings as I walked into Avila on the Camino Levante route. They say a lot for what’s happened outside the tourist precinct. Blame it on the crash of 2008 if you like but that doesn’t explain why. 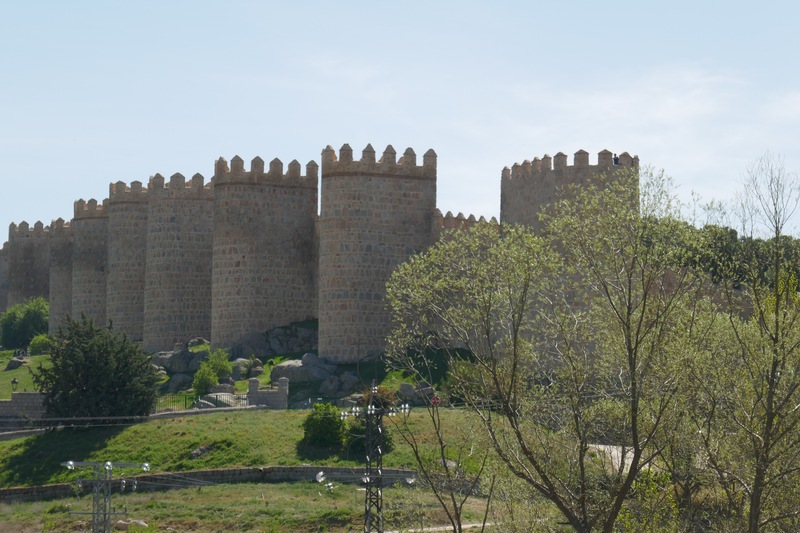 Still, luckily Avila had the foresight to rebuild its old walls and make it a good tourist destination. 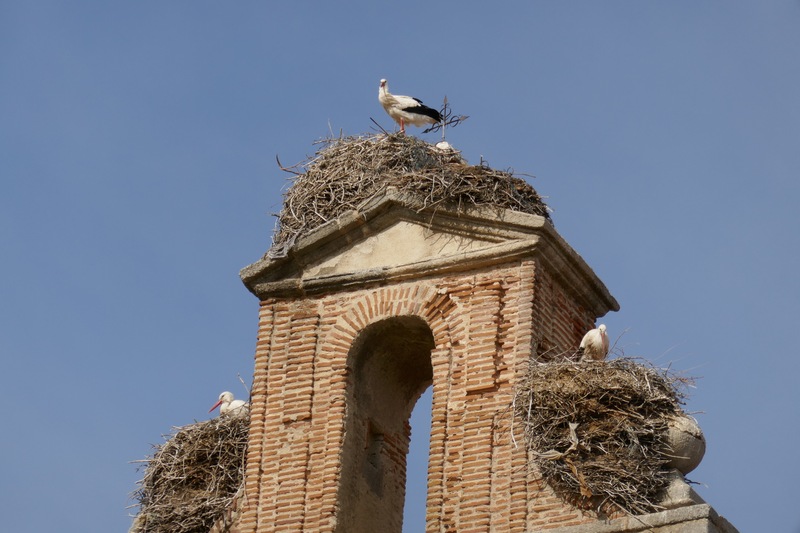 The best storks? Yes, all 3 nesting on the remains of an old church. The kids above or beside my room in the hotel enjoy hopping and running and practise them often. Why indoors? Who knows and, the doors near me are clearly not hung properly. So, my poor neighbours have to bang them very hard to shut them each time. They are friends or family so they are in and out of each other’s rooms. So shutting the doors like that must be a bother. Aggghhh.. Yes, it bothers me 😉…. Bells in the adjacent cathedral started at 22:47 on Saturday night and stopped at 22:55. Why? Who knows….. If they started again during the night I didn’t hear them. No parades coming back to the cathedral. I turned on loud music, it neutralised the noisy kids and slamming doors, and I quickly passed out. Wining about wifi – again! Tried to use hotel wifi early, before I left Avila. Was as bad as it’s been so I did a speed test. (Speed test app: Ping 736msec, download of 0.04Mb/s, upload of 0.0Mb/s; the ping should have been <30msec, download 5+Mb/s). Did you say tantamount to unusable? No. Unusable. The illusion the wifi is ok is created by the strength of the wifi signal but, the actual internet is almost unusable. Sigh. I’m now mates with the guy who wears oxygen prongs while he sits in a wheelchair, at an intersection of nearby tourist streets. He holds out a paper cup with a few coins in it. My contribution yesterday must have sufficed as he said ‘buenos dias’ to me as I left the cafe where we both had breakfast again this morning. Plus, he went home early! He was in the same place last year and no, I gave him only a few euros as his life is probably tough and I’m not sure what sort of social security safety net exists for (possibly) sick oldies like him. 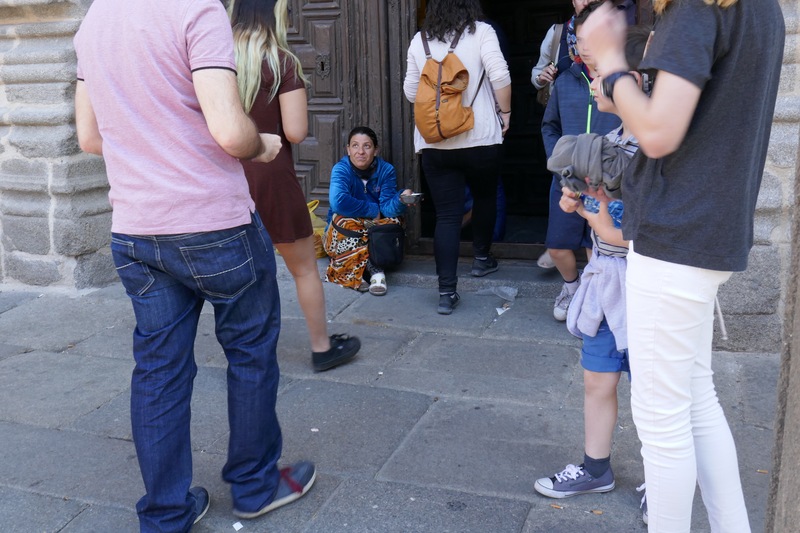 I NEVER give anything to the people who, in most big Spanish cities I’ve visited, hang around the entrances to cathedrals. I am looking forward to a month in another Spanish school in Peru later this year. I have improved a lot but need more regular practice. B, my neighbour at Bambú, speaks Spanish, French and Italian. Suggests reading in Spanish is the way to go. Til now it’s been too slow for me to dredge up sufficient interest but I’ve bought newspapers each day since she said it and have managed much better than last time. I swear I went backwards in my speaking during the week with the caballeros. Understood a little more but speaking? Bit by bit (‘poco a poco’ they say). 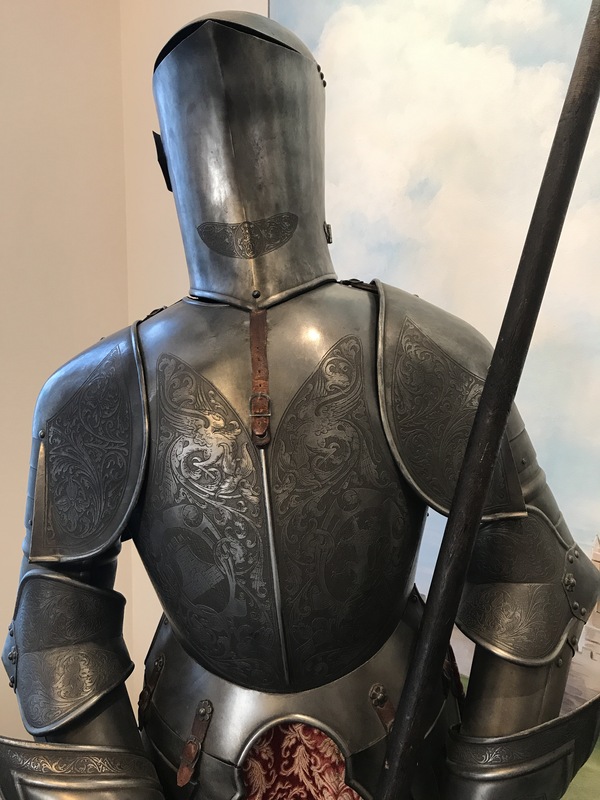 I liked the 2 suits of armour in the hotel entrance. The helmet of one was especially intriguing. Not sure how a wearer saw out or breathed. They weren’t welded in, I checked: there were straps on one side and a hinge on the other but… Very very odd. Jodie arrives from Aus on Tuesday. We are off to Portugal on the Friday. Prior to that we will go to Toledo for a day. Why Toledo? It’s beautiful, is old Spain, and only 30′ by train from Madrid. 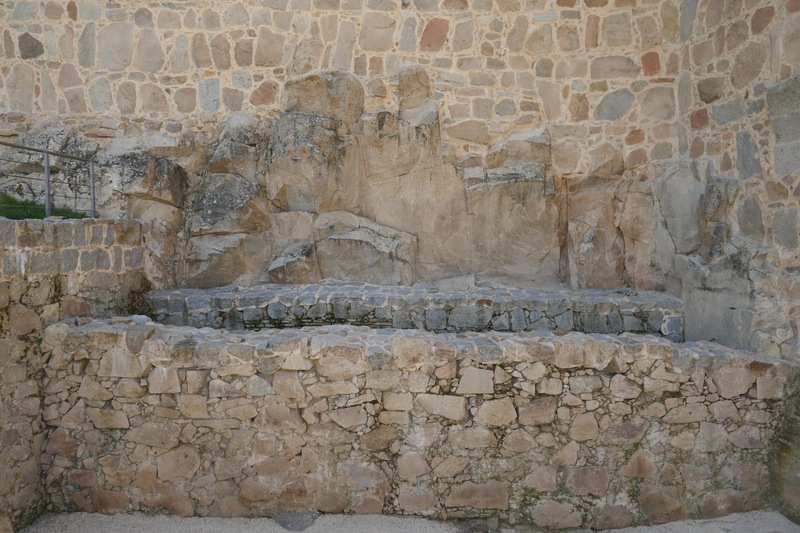 You can still see signs of the Neolithic people, the Romans, the Moores etc. No, not the Visigoths! 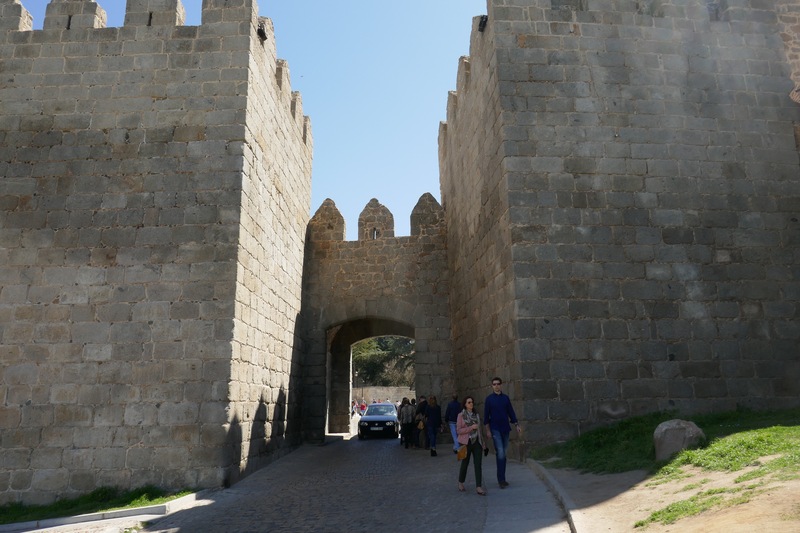 And then there are the walls with their entrance gates, the river, the cathedrals, the narrow cobblestones streets, the marzipan sweets with pine nuts in the Zocodover, one particular tapas bar/restaurant, my favourite coffee shop,….. Great places to see but we only have one day. So, tickets are booked. Will be good. Whatever the weather it should be good.